Blockchain is a decentralised software platform for managing digital assets and allowing users to transact directly with one another without any third-party intermediary. In its simplest form, Blockchain can be described as a distributed ledger or a decentralized database that records digital transactions. Ethereum is an open-source, public, blockchain-based distributed computing platform and operating system featuring smart contract functionality. IOTA is an open-source distribution ledger developed to provide secure communication and payments between a network of systems and products. Blockchain data storage will become a massive disruptor shortly. Current cloud storage services are centralized — thus you the users must place trust in a single storage provider. “They” control all of your online assets. Blockchain technologies make tracking and managing digital identities both secure and efficient, resulting in seamless sign-on and reduced fraud. Be it banking, healthcare, national security, citizenship documentation or online retailing, identity authentication and authorization is a process intricately woven into commerce and culture worldwide. What if you could cut your mortgage rate, make it easier to update your will? The world of smart contracts is fast approaching, but what are they? These are legally binding programmable digitized contracts entered on the Blockchain. What developers do is to implement legal contracts as variables and statements that can release of funds using the bitcoin network as a ‘3rd party executor’, rather than trusting a single central authority. The greatest barrier to getting electoral processes online, according to its detractors, is security. Using the Blockchain, a voter could check that her or his vote was successfully transmitted while remaining anonymous to the rest of the world. In 2014, Liberal Alliance, a political party in Denmark, became the first organization to use Blockchain to vote. With American voter turnout still shockingly low, distributed digital voting may represent a way to enfranchise non-participants. One interesting feature of the Blockchain is its timestamp feature. The whole network essentially validates the state of wrapped piece of data (called a hash) at a certain particular time. As a trustless decentralized network, it essentially confirms the existence of [something] at a stated time that is further provable in a court of law. Until now, only centralized notary services could serve this purpose. Proof of Existence allows users to upload a file and pay a transaction fee to have a cryptographic proof of it included on the bitcoin Blockchain. The actual data is not stored online and therefore does not risk unwanted publication of the user’s material. After anonymously uploading the document and paying the network fee, a hash of the document (or any other type of digital file) is generated as part of the transaction. The Proof of Existence website shows recently uploaded files that have hashes on the Blockchain. This, in effect, uses the public and ledger-like nature of the Blockchain to store the proof of your file, which can later be verified should an issue of authorship or dating arise. Cybersecurity and Fraud Management – The Wannacry ransomware attack exposed the vulnerabilities that exist in the existing cyber defence systems. By continuously tracking changes on the network, blockchain will provide a trail of transactions that can detect fraud, and diagnose faults and errors much faster than today. Data management – Telcos can leverage blockchain to provide data management services to users. By providing easy and secure access to data, the technology will pave the way for enhanced data security. Identity management and Authentication – Blockchain-based platforms can easily enable authentication across devices and organisations by using the decentralised blockchain principle with identity verification. A lot of companies are already doing significant work in this space. Accelerated 5G Implementation – Operators can easily use blockchain to overcome barriers around network provisioning and real-time processing and reduce the friction required for implementing 5G networks. By using smart contracts for invoking the automatic execution of rules and agreements between different access mechanisms and the real-time supply of network resources (e.g. public Wi-Fi), blockchain technology will help speed up network implementations and the management of users interacting with third-party value added services. Smart Cities – Public blockchains will power the smart cities of the future which will be run on IoT-enabled devices. Technology giant IBM is already collaborating with the city of Dubai to help it run a city-wide blockchain pilot. Telcos will also be able to find newer opportunities by investing in public blockchains. 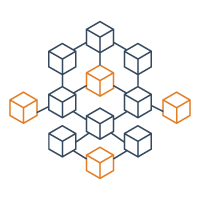 Support BSS/OSS processes – Through standardisation and process simplification, blockchain will support a number of BSS/OSS processes such as number portability, billing and flexi eSIM provisioning. Blockchains can also be used to counteract roaming fraud. Today, the home network typically cannot detect subscriber fraud until after it has been perpetrated – leaving it without a redress mechanism. Every time a subscriber accesses a visitor network, the contract executes automatically and sends the relevant roaming traffic to the home network, allowing it to calculate and charge the relevant amount in real-time.